The P.K. 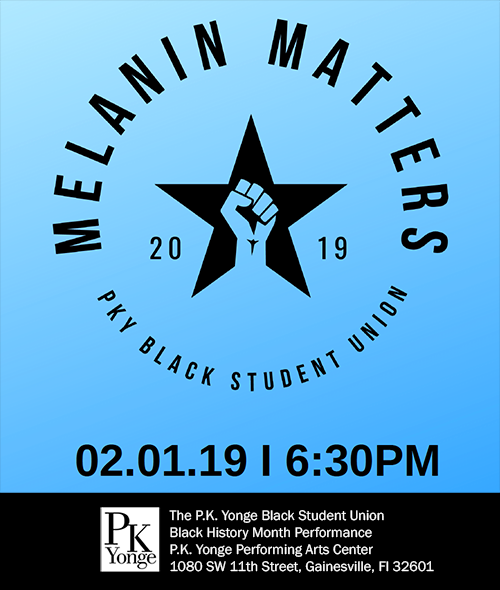 Yonge Black Student Union presents “Melanin Matters,” a student-produced evening performance of student narratives, gospel choir performance, an African fashion show, guest speaker Yvonne Hayes Hinson, and more! Join us at the P.K. Yonge Performing Arts Center on February 1 at 6:30pm.